Grace Wesley, history teacher and a committed christian, has quoted the words of Jesus in her classroom for answering a student’s question… and the war began! She got sued by a couple for allegedly preaching instead of teaching. The lawyer, Thomas Endler, has taken the hard job of defending her in the face of so much opposition. Long story short: I absolutely loved it! I h adn’t read a novelization before and for me the author did a great job! It’s awesome! This book has ignited in me the willingness to stand firm and fight for the right of speaking boldly about my faith. “I’m not going to be afraid to say the word Jesus”, as Grace said. This is the kind of story that keeps going with you even after you finish it. It leaves you with a passion for proclaming confidently what you believe in. The plot is engaging. I was feeling every single word. For me, it was like I was right there, in the trial, hearing the amazing arguments each side had brought. Short chapters and interesting dialogues won’t let you put it down. Characters are so real! They could be people you actually met. It’s easy to identify with them and their struggles, doubts, fears and even their resolve to find truth. I warn you: it’s impossible not to love Tom. He’s my favorite and I bet everyone will agree with me. One the most impacting moments for me was the appearance of James Warner Wallace as James Warner Wallace (author of Cold Case Christianity). He was great! I know he’ll be in the movie too and I cannot wait! As a christian, I’m very thankful for this book! Let’s stay standing! Let’s defend our beliefs with love and boldness! 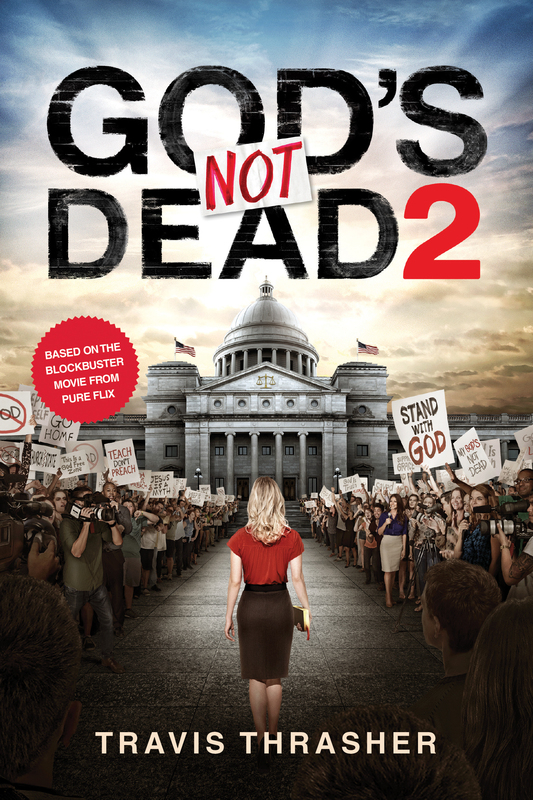 God’s not dead, he’s surely alive! + “Remember: the teacher is always quiet during the test”. // The quote of the year! + “Truth has a way of coming out when people have learned to trust you”. Travis Thrasher is the bestselling author of over thirty works of fiction in a variety of genres. He’s written novels that have crossed the spectrum between love stories and supernatural thrillers. His variety of inspirational stories have included collaborations with filmmakers, musicians, and pastors. He’s also helped write memoirs and self-help books. Travis and his wife, Sharon, live in a suburb of Chicago and have three daughters.